Found this idea on Pinterest and revamped it to fit my space and the yarn that I wanted it to hold. This was a really quick project to complete and I love it. Filled a relatively useless space to store tons of yarn and it is very easy to see the color I want at a glance. I purchased 4″ diameter PVC pipes and cut them into 11″ long tubes. Sanded the edges smooth and glued them together using PVC contact cement/glue. Was a little wobbly so I used a small L bracket/angle iron and attached to the inside of one tube and then attached to the wall. Try to find a stud in the wall to make it very secure. 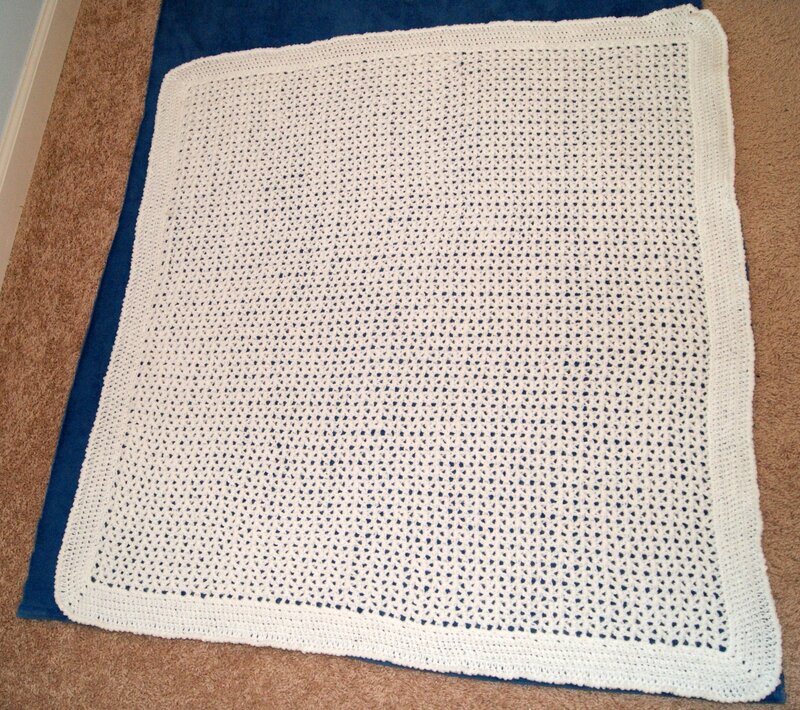 Well I finally finished the baby blanket adding the Ultra Comfy fabric to the back. First time that I ever “quilted” a crochet project. 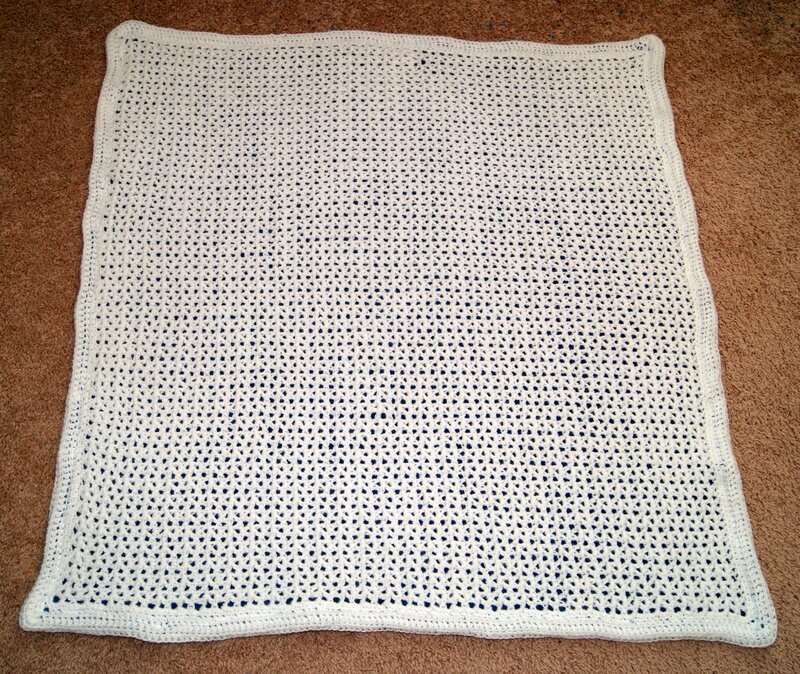 Finished blanket on top of wrong side of blue backing. 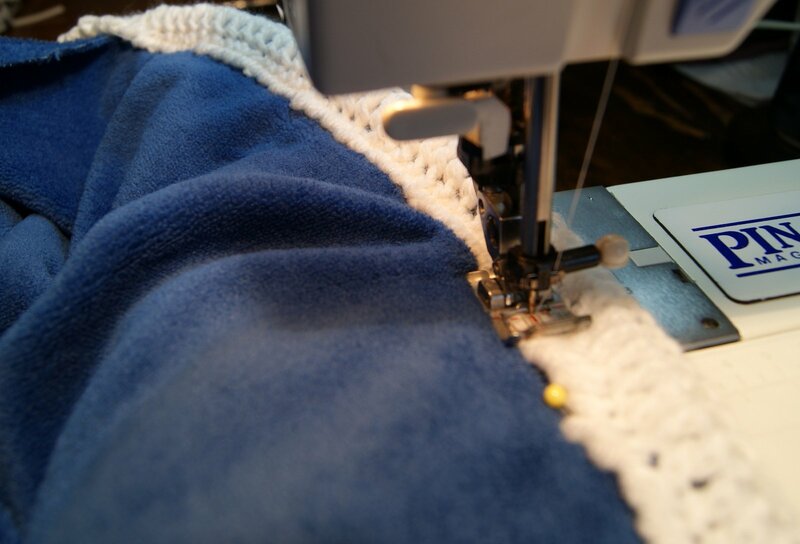 I’ve included some pictures on how I trimmed the backing fabric in the corners and did the machine stitching. 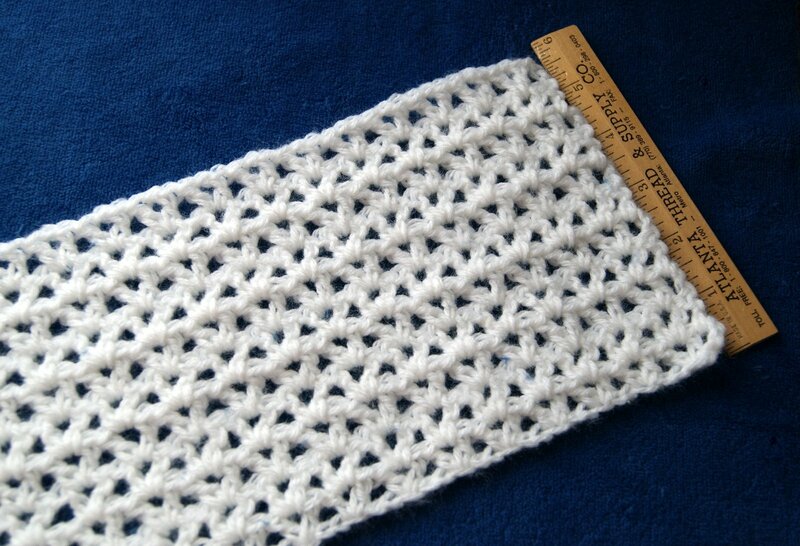 I did use a regular sized zigzag stitch length and stitch width for the edging. How I trimmed the edge of blue fabric and the corners. Also, something to keep in mind should you try this technique, I only pinned and sewed 2 sides at a time. 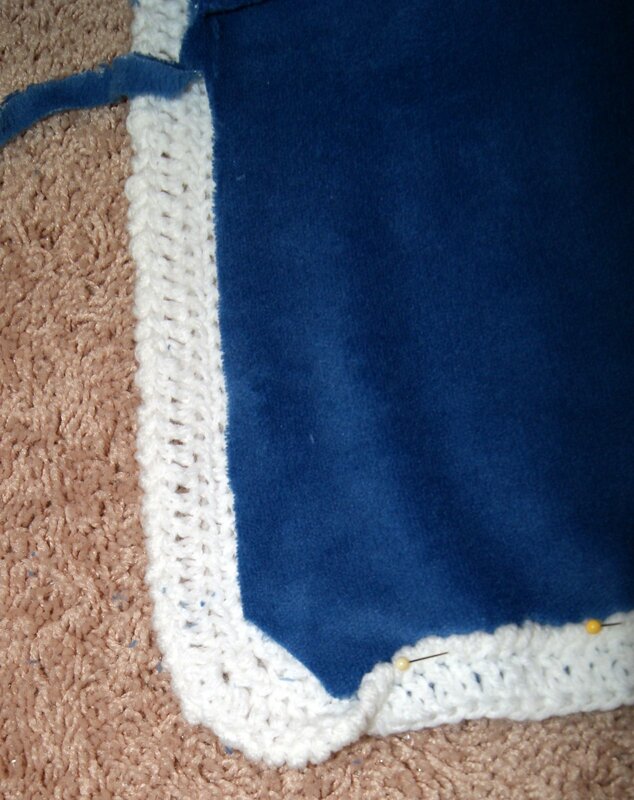 Because the backing fabric was extremely soft and somewhat stretchy, I wanted to make sure that I got it smooth and somewhat taut to fit my crocheted blanket. This way I stitched 2 sides and relaid it on the floor and pinned the other 2 sides and finished my zigzag stitching. Once all the zigzag stitching was completed, I did make two stitching lines down the center of the blanket to hold both pieces together. I just divided my blanket into thirds and used a longer stitch length than normal but not as big as a basting stitch and sewed it all together. Also, I did change to blue thread in the bobbin to match the comfy fabric and continued using the white thread to match the top. 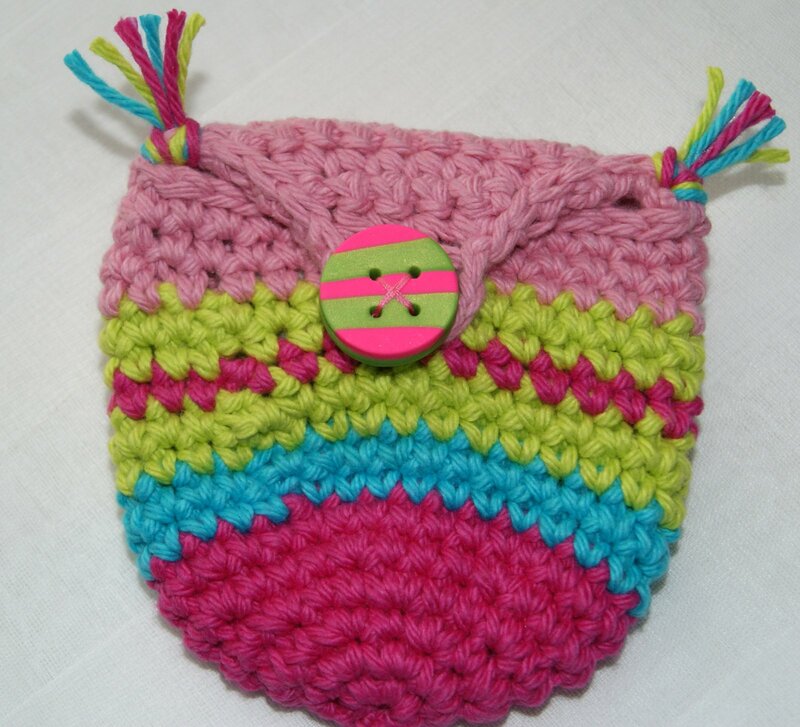 Now it has been wrapped and shipped along with several different sized beanies and a pair of thumbless mittens!! I have already washed and dried the blue fabric and it came out wonderful. 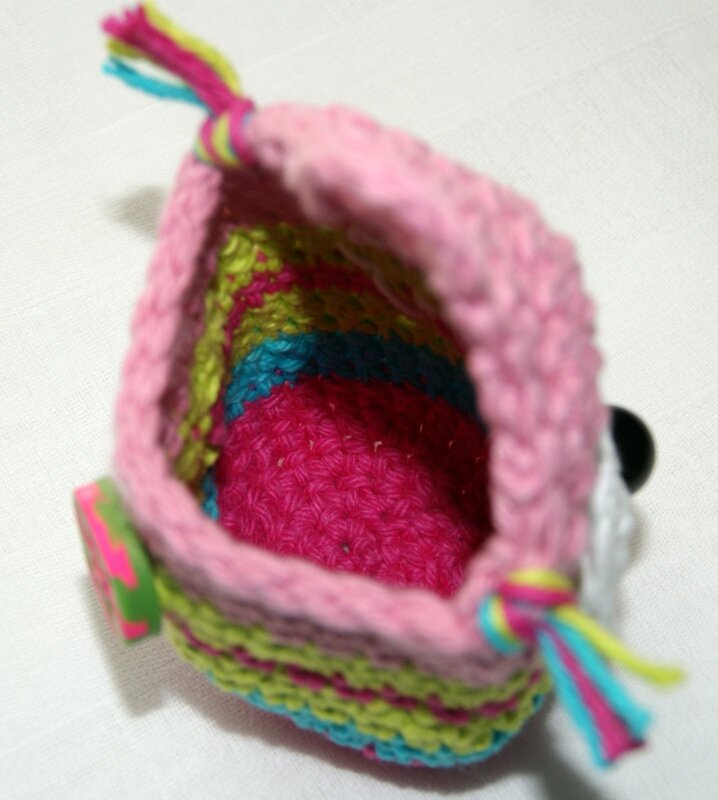 It is just waiting for me to finish my crocheting. 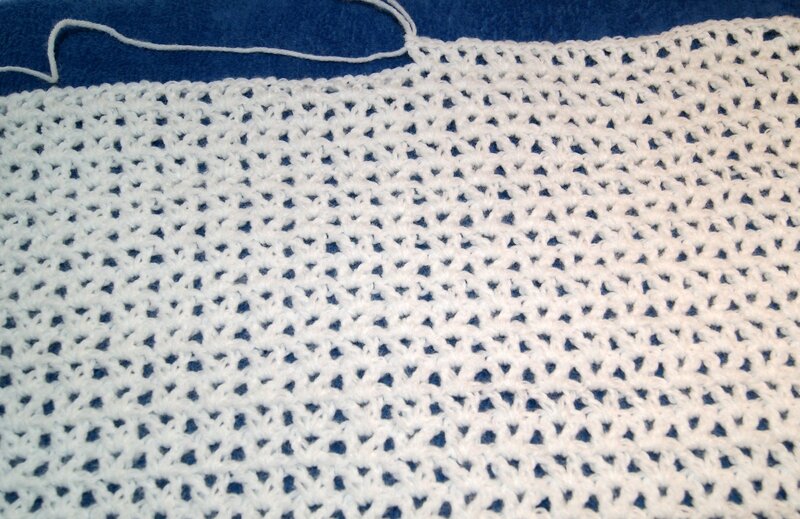 Here are some updated pictures on my crochet progress for my special baby blanket. 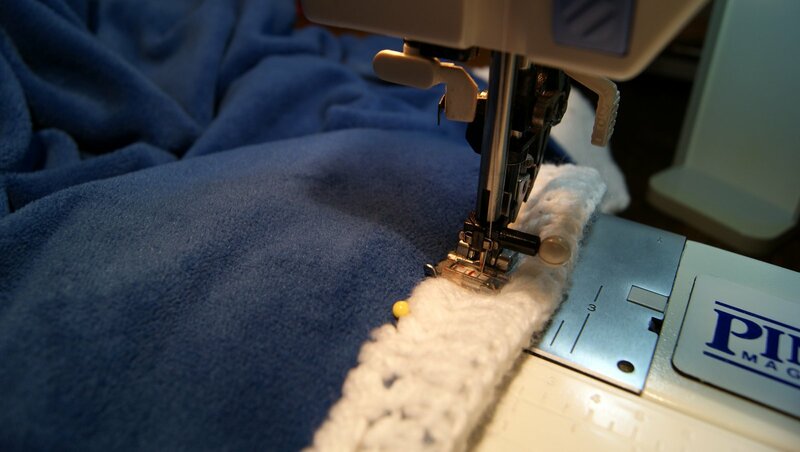 Currently, my blanket measures 36″ wide x 28″ long~~adding another 5″ to the length. I’ve decided that the edge of the blanket needs a little something. 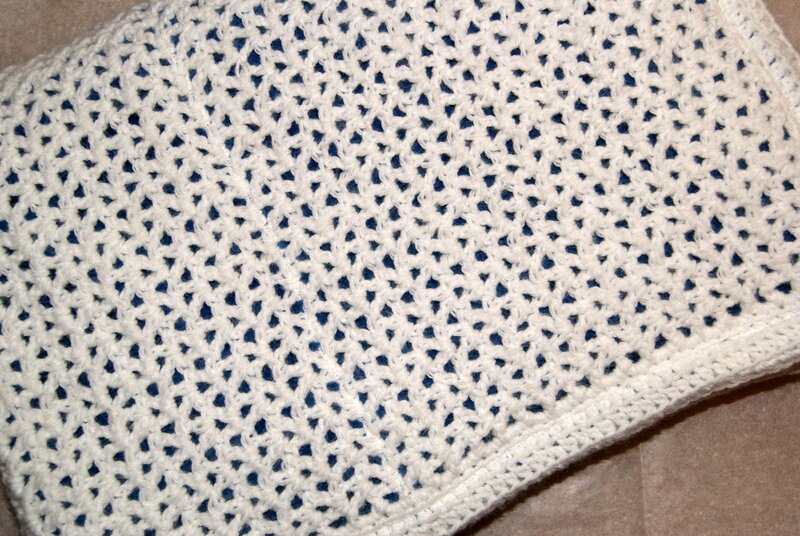 I am going to crochet a small border of HDC (half double crochet) stitches around the entire blanket probably stitching in the BLO (back loop only) to give a nice finished appearance. 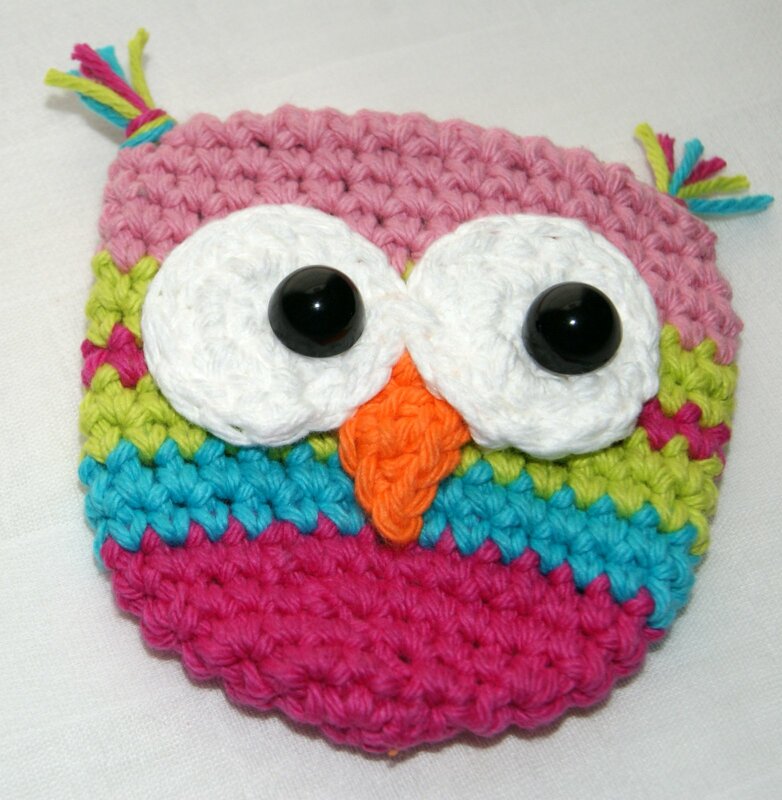 Then I’m planning to do 1 row of SC (single crochet) join, chain 2, 1 row of DC (double crochet) BLO (back loop only) and then fasten off. The SC and DC rows will become my binding edge that I will fold over the raw edge of the blue fabric. 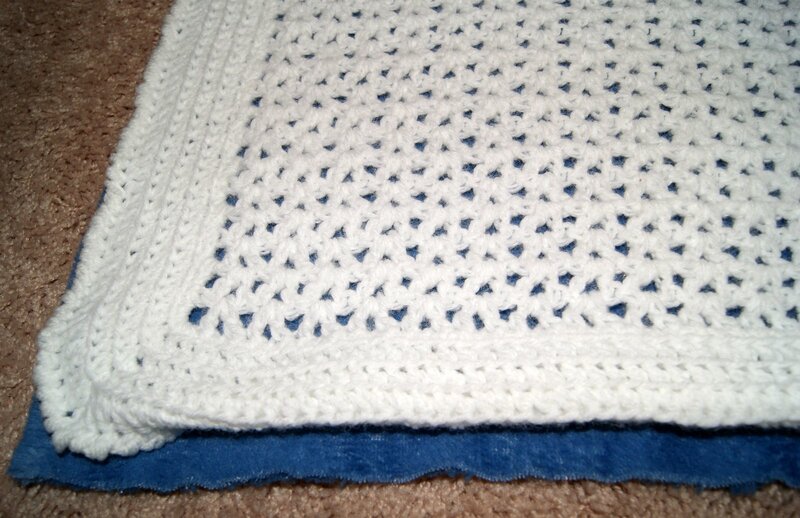 I am planning to machine stitch the blanket to the crocheting to make it really secure. 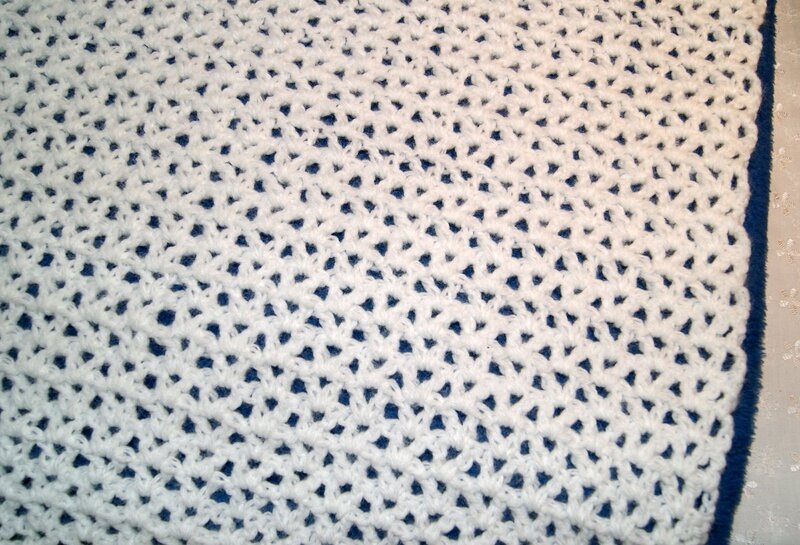 I’ve also decided to make some small white hearts trimmed out in blue to randomly place across the top of the crocheting to help hold both pieces of fabric together. Goal is to have everything completed within the next 10 days and will try to post some more pictures of the finished blanket. I will probably make a little white beanie too! !